When possible, I actively schedule educational and purposeful movies into our movie viewing time. This review from FishFlix.com made that easy as we received both a historical patriotic film and an additional documentary. 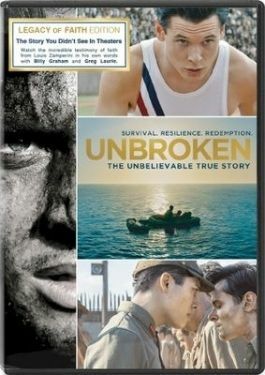 The 2 DVD set Unbroken Legacy of Faith Edition included the recently released DVD Unbroken, the story of Louis Zamperini, as well as over 90 minutes of interviews that clearly reveal his faith. My husband and son were most interested in the Unbroken movie, but the entire family watched it together and then again with grandparents. The guys noticed details like types of planes and antique cars, but the true story captured my attention. This is a story of an American Hero who is a prisoner of war. Mr. Zamperini spent the majority of WWI as a captive in Japanese camps. As a war movie, it is filled with violence though some is implied more than displayed. The movie is rated PG-13. We did watch both the movie and the documentaries with all of our children. My son, during the long portions about the men on a raft, reminded us of a similar raft we read about recently when we visited the Pensacola Naval Aviation Museum. It was a different raft, but similar enough to make the movie more realistic for my son who still questions which books and movies are factual and which ones are fiction. "Out in the middle of the ocean with no food...you can make promises in dire situations." 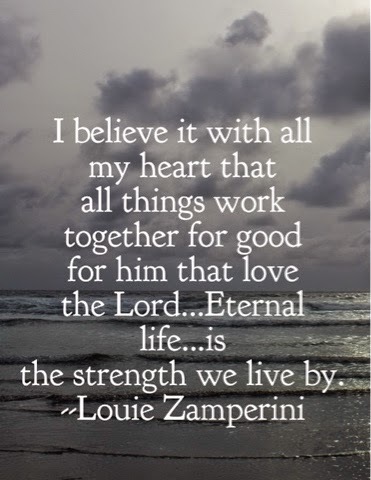 Themes of resilience and courage were evident over and over in Mr. Zamperini's story. There are situations in this movie that might be scary to viewers of any age. I recommend parents watch it first to determine appropriateness for your own children. The additional DVD included in our package was so interesting. The documentary "The Story Behind The Film" shares how Louie was able to change from wanting to kill the guard that had treated him so atrociously to forgiving him after learning about Jesus Christ at one of the first Billy Graham crusades. The next beautiful footage shows Mr. Zamperini sharing just how a person can have a relationship with Jesus Christ. A friend now lives on Kwajalein, one of the Marshall Islands, and in through her pictures it seems like a tropical paradise. I didn't know this part of the sad history of those islands until watching this documentary. In kindergarten, tough young Louie already smoked but couldn't speak English. His mom prayed for him from his childhood. The documentary includes footage of interviews with Mr. Zamperini. I loved the story he shared of his nightmares (because of prison camp) ending after accepting Christ as his savior. "Forgive the sin. Smile on the sinner...Love thine enemy. Forgiveness must be complete. Instead of hate I'm gonna pray for them." 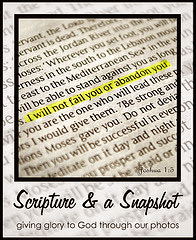 Other members of the Schoolhouse Review Crew reviewed this and other Christian DVDs by FishFlix. Click the banner below to read more reviews.